Scientists generally believe that it is not possible to voluntarily influence the autonomic nervous system, which regulates — among other physiological processes — heart rate, breathing, blood circulation and the immune response. However, results from a new study show that, using techniques developed by Wim Hof, it is indeed possible to modulate our own autonomic nervous system and, consequently, our own immune response. Results from the new study (Voluntary activation of the sympathetic nervous system and attenuation of the innate immune response in humans), published about two weeks ago in the scientific journal Proceedings of the National Academy of Sciences, raise hopes for people with chronic inflammatory diseases, as for example rheumatoid arthritis — the results indicate that the techniques developed by Wim Hof allow to control and decrease the levels of inflammation. The study included 24 volunteers — 12 volunteers were trained for 10 days in meditation (third eye meditation), breathing techniques and exposure to cold (immersions in ice cold water). The other 12 volunteers represented the control group and were not trained. After completion of training, all volunteers were injected with endotoxin, a component from the cell wall of bacteria that elicits a response from the immune system. I have done considerable online investigation into what Wim Hof is doing, and from the point of view of seeing what the human body is capable of I find it extremely impressive. However, I seriously wonder if it is a good thing for the body in the long-term. For one, it creates a strong release of adrenaline and other stress hormones, elevating the activity of the sympathetic nervous system. As on other commenter who studied psychology noted, it puts the body into fight or flight mode. Normally, we cannot trigger that on our own. If a child gets pinned under a car, it is this mechanism that gives the parent almost super-human strength to lift up the car. However, being in that state in a regular basis creates tremendous wear and tear on the body, as well as aging, through the mechanism of an elevated sympathetic nervous system and the release of adrenaline and other stress hormones. I do not understand completely if what Tibetan monks are doing with tummo is the same. However, I do know as a general rule that the meditation that Tibetan monks do is meant to have the exact opposite effect – stimulating the parasympathetic nervous system and bringing down the activity of the sympathetic nervous system. It’s also impressive that Wim Hof can suppress his immune response, but as another commenter noted, what if he had been injected with a real bacteria that his immune system needed to fight? I think people might be incorrectly jumping to a conclusion that this is actually a way to fight disease. Just my thoughts. of course his method can fight disease. he has helped many people with rheumatoid arthritis, cancer, and the like. Jay is right. Immunosupression is an undesirable trait in fighting infection. However, in cases of excessive autoimmunity it is desired such as Rheumatoid arthritis. Steve, you argument is flawed. When I was in India during the winter of 2009, I was taking cold showers everyday, …not by choice. I am originally from Texas, United States and it was really a big culture shock for me to see what life is like there halfway around the world. I didn’t expect or consider the possibility of no hot water, I had always grown up with it easily available. Anyhow, the first few times I had to shower in very cold water, it was a pretty crazy experience. After the first few times, I really noticed how invigorating it actually was. When I arrived back in the States, (that is to say, when I had internet access again) I started researching about cold showers and cold exposure in terms of how it could be helpful to the body and mind. Clearly, I was already having an experience that it was beneficial to me but it was interesting to read more about it and discover that there were studies being conducted on it. A couple years ago, I came across Wim Hof through some video or another and I was completely blown away by him and what he was capable of. Just last year, okay it was 2014 like one week ago but yeah, last year I heard about <a href="http://www.thewimhofmethod.com"The Wim Hof Method. It’s an actual course that he put together that last for 10 weeks. It’s actually an online course. It’s primarily video content, group forum, and includes access to Wim and his support team. It really is an awesome course and I highly recommend it to anyone that is interested in the benefits of cold exposure. I would say this is probably the only type of course of it’s kind anywhere in the world guided by someone who is a living example who practices what he preaches. For me, it’s been great to follow along and challenge myself to more than just cold showers. The benefits have been tremendous and the more I put into it the more I get out of it. Thanks for the article, it was an enjoyable read and appreciate you spreading the word about Wim Hof and cold exposure scientific research. It’s nice to see such great interest from the scientific community to catch up on cold exposure research so that more people can learn about it and potentially benefit. I am one of the people in the experiment (I googled on this topic, because I’m bored). The training was partially mental and partially physical. Mental in the sense that you have to be friends with the cold. Physical in the sense that we hiked a snowy mountain for 2.5 hours in our shorts (and shoes on). It was also physical because we learned breathing techniques. I study psychology myself and the breathing technique that we learned got me into a fight or flight response. I felt like I could conquer the world. The study showed (in the charts) that there is a high rise in adrenaline, which explains my “fight or flight response” feeling. This feeling, it’s insane, it’s the same feeling as jumping out of an airplane. The only difference is that this feeling is voluntarily activated by the breathing. It’s quite logical that we get in a fight or flight response, because the breathing technique resembles choking, but then in a controlled way. Dr. Pickkers thinks that it was the breathing exercises that had the most effect on the rise of adrenalin and suppressing the immune response. Would you say that is true? Do you think the cold training and exercises were of less impact on this than the breathing? ps. love to do a workshop with Wim Hof. And what other physical states are you talking about? more like relaxing states? what was the breathing pattern like for these? I’m very interested! The human body never fails to amaze me! Developing techniques to control one’s immune system could be the first step in ridding disease in our own bodies. This exciting study shows that, with proper training, one can produce higher amounts of the immunosuppressive hormone, epinephrine. This could help further advances on MS research, or other studies on autoimmune diseases. Personally, I would like to see the effects this has on people who are HIV+. At the AID Atlanta clinic, we educate visitors of the benefits alternative treatments such as meditation always done along with their medication, of course. 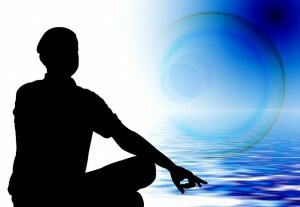 Meditation has actually been shown to stabilize and even increase the CD4 T-cell count of those with HIV. It would be interesting to see if the techniques developed by Wim Hof are capable of controlling an infection of an elusive virus like HIV. Wim Hof has done some amazing things that I did not even think were even possible. This post describes how individuals from a study have decreased symptoms when exposed to an endotoxin after being trained in meditation. However, I began to wonder if it was the only factor in boosting the immune system because I have always heard of having a positive mentality can have beneficial effects to one’s health when faced with illness and disease, which is ultimately linked to mediation. Research reported in the NY Times have found that the activation of the left prefrontal cortex of the brain, responsible of happy thoughts, is correlated to higher levels of antibodies. Thus, mediation along with having a positive outlook can more easily overcome inflammatory diseases and maybe other disease as well. Although Wim Hof takes controlling the bodily responses to an entirely new level, similar findings have been found in the Tibetan Sherpas concerning physiological changes. While there is no conscious effort put forth in controlling blood cell affinity for oxygen, sherpas living in high altitude show this exact finding. There is no known increase in any of the hematological parameters study, just an increase in affinity. I have no idea of the training involved for the research performed above but I have to assume location was involved in achieving the desired result. I wonder if most people are able to achieve higher levels of situational needs when exposed to differences other than their norms. I understand that suppressing your immune system in patients that suffer from chronic inflammatory diseases can be very beneficial as a means of pain relief in the short term. But what if, by unfortunate chance, they are exposed to a dangerous pathogen while they are using the meditative training to suppress their immune system? If this were to happen, the body would not be able to react to a pathogen while its suppressed. Unless they were able to stop suppression of their immune system in time before the pathogen invades and infects many cells, making these patients more likely to suffer from infectious disease than those who are unable to suppress there innate immune system. This brings up the question “Are these meditative practices safe?” especially for the immunocompromised.